The article is an attempt at interpreting the Polish and Latin texts in which a relation between Heavenly Mother and the Holy Spirit in the mystery of the Annunciation, the Incarnation, and the Assumption of Mary is found. The examined pieces, originally composed in Latin, have been selected from liturgical documents, such as Graduał cieszyński (Gradual of Cieszyn), Antyfonarz jasnogórski (Antiphons of Jasna Góra), Antyfonarz Chwalisława z Nysy (Antiphons of Chwalisław of Nysa) and a collection of sequences Cantica medii aevi Polono-Latina. The texts are for the first time translated into Polish. Two editions, namely Średniowieczna pieśń religijna polska (Medieval Polish Religious Song) and Żywot Pana Jezu Krysta (The Life of Jesus Christ) by Baltazar Opeć, were used to analyse the Polish texts. Explications of the texts effort to clear the theological contexts, developing the possibly richest intertextual platform through indicating loci communes of the analysed pieces as well as those that might have given inspiration to their authors. In their philological analysis attention is paid to aesthetic value of those poetic prayers. The paper discusses an anonymous poem Apologeticus (published in Vilnius 1582) being the first direct evangelical statement in a polemics about the Confederation of Warsaw. Not only was it a defensive response to previous Catholic speeches, but also an offensive monition directed to them and provoked by the 1581 Vilnius turmoil. The objects of Calvinian attack are the Pope (alongside of the Jesuits and Stanisław Hozjusz), the Polish clergy, Polish renegades, worship of the saints and of Holy Mary, Catholic idolatry, and celibacy. The arguments, essentially conditioned by historical “there” and “then” (Vilnius between 1581–1582), with time in the writings of evangelic polemists ceased or even did not appear at all. Thus, such writings were not characterised by such intensity of emotions unfriendly to the Catholics as visible in the poem in question. Provided Piotr Skarga is “a warrior of Counter Reformation,” the unknown author of Apologeticus may be per analogiam referred to as “a swashbuckler of Reformation” due to his anti-Catholic invectives. The article is an attempt at reconstructing the Latin source of the Polish devotional print Skarb duszny, nad złoto i kamienie drogie kosztowniejszy (A Soul Treasure, Costlier than Gold and Precious Stones) and the history of its translations done by the Orthodox Church followers in the Polish-Lithuanian Commonwelth. It was a translation of a work by a Jesuit Franciszek Coster composed about 1576–1577 to serve the Sodality of Our Lady, College Society of Jesus in Cologne, and printed at the turn of 16th and 17th c. under various titles (Bulla super forma iuramenti professionis fidei, Thesaurus piarum, Piarum et christianarum Institutionum libri tres, Libellus Sodalitatis), indicating Coster as its author or anonymously. A Soul Treasure […], launched in Cracow in Andrzej Piotrkowczyk’s publishing house (1582, 1594), was twice translated into so called simple language and printed in Vilnius Orthodox Brotherhood as a kind of biblical-liturgical Orthodox book, either in the second half of the 1630s or at the beginning of 1640s (a fragment urging to frequent confession), and as a separate print Nauka o tayne svatovo pokayania (A Study of Mysterious Holy Confession) (Kiev 1671). At the turn of 17th and 18th c. translation of A Soul Treasure […] into simple language widespread in Ukraine also in handwritten transcripts. This paper is aimed at examining a mid-seventeenth century manuscript copy of Kasjan Sakowicz’s Dyjalog (Dialogue), published twice in 1642, being a satirical writing aimed at ridiculing the backwardness and stubbornness of the Uniate Church with regard to the acknowledgment of the Gregorian calendar. Since we have relatively little information about the scope and nature of readers’ reception of the writings created in relation to the calendrical polemics, the handwritten copy of the Dialogue (MS Kraków, Czartoryski Library, 1657 IV, pp. 145–146) may shed some light on the way these texts were perceived and used at the time of their publication. The article provides a comparative analysis of the second edition of the Dialogue and the manuscript and it aims at drawing more general conclusions regarding the scribes’ and readers’ competences in the languages used in the Polish-Lithuanian Commonwealth and also in the way this process of circulation of manuscripts could shape opinion on such matters as calendar reform or the Union of Brest. The appendices contain a parallel transcription of the printed and handwritten Dialogue as well as an excerpt from the Kraków manuscript, which documents other aspects of religious polemics among the Uniates and the members of the Orthodox Church. Legal problems included into literary writings rarely become an issue of analysis. The judiciary subject is often voiced in Ignacy Krasicki’s output, and some of them are recurrent in many of his pieces. The novel Mikołaja Doświadczyńskiego przypadki (Adventures of Nicolaus Doświadczyński) offers a description of the functioning of the Crown Tribunal, the highest judiciary body in the Republic. Time distance and legal practice details included in the piece hinder the proper understanding of this part of the novel. The literary picture is not only uniquely realistic and conforms many law historians’ observations, but also delivers pieces of information which allow to indentify many raised problems, places, time and figures. A legal-historical analysis gives a new reading of that part of Krasicki’s creativity. The main aim of the article is a description of the study of tropes set forth by Jakub Górski (1525–1585) in his handbook De figuris tum grammaticis, tum rhetoricis (1560). A reconstruction of the humanist’s views on the functions of eloquence identified mainly with elocution allows to account for the relationships between rhetoric and dialectic (and in broader sense also with philosophy). An analysis of two key terms in the dictionary of forms of expression (figure, trope) provides for sketching the main determinants of Górski’s idea of rhetoric as of an art of amplification and figurativity. Such an analysis is at the same time an introduction to a description of 10 tropes with their numerous types (allegory, irony). Górski’s handbook, which brings the basic pieces of information on rhetorical tropes and figures, offers a powerful image of rhetorics teaching at The Cracow Academy in the second part of the 16th century. The main aim of the article is a presentation of a book on elocution Tractatus de elocutione et ornamentis illius, sive figurarum verborum et sententiarum prepared by Adam Burski (c. 1560–1611). The volume is preserved in the manuscript collection of The National Library of Poland and is probably based on Burski’s lectures on rhetoric delivered at The Zamojski Academy in the year 1605. It consists of 26 chapters and each of them contains a fragment of Cicero’s work in rhetoric with the humanist’s commentary (scholion). The exposition of Burski’s study in tropes and their types allows, on the one hand, to describe his rhetorical education project (examples of tropes are taken from the Polish language), and on the other hand, to discuss such detailed matters as the essence of eloquence (ornateness), rhetoric simulation, and emulation of Cicero’s style. The article describes the image of Death in 15th c. Rozmowa mistrza Polikarpa ze Śmiercią (Master’s Conversation with Death). The piece says that Death looks “wrymouthed like a man-eater.” The word “samojedź” (“man-eater”) is now no longer used though recurring in Old-Polish writers collective noun referring to an anthropophagus, it seems, however, that it might initially have had a different meaning. An analysis of the proper fragment of the piece in question reveals that the presentation of personified Death directly refers to clinical descriptions of a leper’s appearance known from various medieval works. It is thus possible that the term “samojedź” (“man-eater”) was also used to refer to the lepers and this meaning disappeared due to some reasons. Was Piotr Skarga Actually a Prophet of “the Fall of Poland and Post-Partition Misery”? Ignacy Chrzanowski in his Historia literatury niepodległej Polski (965–1795) (History of the Literature of the Independent Poland <965–1795>) wrote, “in the entire Old Polish literature there is nothing that has so much power and fear as that [in Sermon three] in the prophecy of the fall of Poland and post-partition misery.” Skarga’s prophecy was twofold: if you remain sinful in your infidelity to Church, ergo to the Republic of Poland, you parish; if you return to Church obedience and thus conditioned improvement of the Republic, you shall be saved. In the 1790s the Republic of Poland and the Church were intermingled in the way Skarga expected. Yet, in the year 1795 the Third Partition took place. The fact can be explained in two ways. The first, pious, is that in the worldly unexplored God’s justice, the Republic’s sins prevailed over virtues, and so Skarga’s prophecy proved legitimate. The second, critical, reveals that one cannot speak about the prophecy’s fulfilling since The Republic was divided by three Christian powers in spite of being till the end tied to the Church. The answer to the title question remains internally contradictory. Skarga was not and at the same time was a prophet as his prophecy “of the fall of Poland and post-partition misery” came true against the premises he adopted (the partitioner was not the pagan Turkey, but Christian countries) and at the same time in harmony with them since the reforms proposed by the Polish Enlightenment activists aimed to totally subordinate the Church to the Republic. The subject of the paper is The New Song of Sarmatic Kaliope published in Vilnius in 1605. It proclaimed the praise of Kircholm victory on September 27th 1605, in particular the approval of the chief commander Jan Karol Chodkiewicz. Due to its theme, as well as because of the participation in the battle of Charles Suderman, the King of Sweden, the Song became recognized in Poland and in Europe. The paper presents the history of the investigations on the Song and discusses its currently known unique specimen from the Municipal Library of Gdańsk. The article also establishes the piece’s authorship: the discovery in Lvov of another curiosity, The Life of St. Kasimir (Vilnius 1606) allowed to state that the author of both texts is Mateus Chryzostom Wołodkiewicz (circa 1585–1642), a graduate of The Vilnius Academy, a descendant of a Lithuanian ducal family. The paper also discusses a more extensive problem of the role of The Vilnius Academy as a center of humanistic culture and its contribution to youth education and preparation to live in civic society. The author of the article identified the Italian original of Szymon Starowolski’s Dwór cesarza tureckiego (The Court of the Turkish Emperor), a formerly vastly popular piece of prose which mingles a topographic description and practical particulars (referring to e.g. trade) with a presentation of customs at the sultan’s court and with informations about Islam. The Polish writer translated the memories of a Levantine Jew known as Domenico Hierosolimitano (1552/55–1622) and published by Alfonso Chierici under the title Vera relatione della gran città di Costantinopoli et in particolare del serraglio del Gran Turco (Bracciano 1621, second ed. 1639). Most probably Starowolski used the second edition and adapted the original to compose his translation in various ways, namely made additions, specified the original wording, divided the original into smaller chapters, and changed the order of some text’s fragments. Samuił Piotrowski-Sitnianowicz (1629–1680), more commonly known as Symeon of Połock, was in the years 1643–1650 a student of The Kyiv-Mohyla College and subsequently from 1650 to 1653 of The Vilnius Academy. Both schools required that their students composed poems in Polish, and exercises in this matter made a starting point for Piotrowski-Sitnianowicz’s poetic carrier. In his later poetry in Old Church Slavonic, epigrams written for drawings or paintings played an important role. The author of the present study proves that also 28 juvenile epigram cycles are Polonized from Latin subscriptions to popular series of Dutch artists’ drawings. 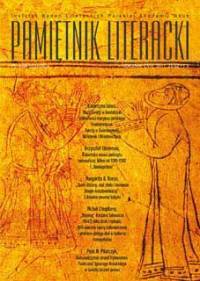 Apart from indicating and discussing the drawings being the basis for the poet’s adaptation, the article offers the first critical edition of the analysed texts since the available publications of Symeon of Połock’s Polish output are far from being correct. The first part of the study presents the graphic sources of poetic cycles Trudno wszytkim wygodzić (adaptation of drawing series Iudicii popularis vanitas et stoliditas <Vanity and Stupidity of Common People’s Judging> by Ambrosius Francken the Elder from before the year 1607), [Trojakie prawo] (adaptation of drawing series Triplex lex <Triple Law> by Maarten de Vos from before 1580), [Trzy stany i ich obowiązki] (adaptation of Maarten van Heemskerck’s drawing cycle, circa 1565, Triplex hominum status et uniuscuiusque munia ac partes <Three Social Classes, Their Functions and Duties>), and Zaniedbanie duszy dla zbytniego o ciele starania – adaptation of an anonymous drawing cycle Animae incuria ob nimiam corporis curam (Rapt Attention Given to Body Leads to Soul Negligence). Monumenta Sarmatarum is the first collection of funerary inscriptions in Poland, compiled by Szymon Starowolski and published in Cracow in 1655. This collection has always been appreciated as a valuable source material by historians. It has also been the subject of analyses by researchers specialising in religious studies and the history of social relations. However, in the field of literary studies, it has been researched to a limited extent only. The reason for this was the lack of approval, at that time, of studies that can be referred to as “utility work” and the fact that the scholars of the 19th century thought that all of Starowolski’s work, including his epigraphic collection, lacked diligence and was abound with mistakes. These beliefs are, however, contradicted by the results of the limited research discussed here. The research shows that the author of Monumenta Sarmatarum put a great effort not only in finding the source materials, but also in preparing these materials for publication. Special care is seen in the choice of language, the use of Latin terminology and the visual preparation of the publication. An analysis of the chronology of the texts reveals that Monumenta Sarmatarum contains not only epigraphic work, but also commemorative elogia prepared by Starowolski himself. Finally, the research study discussed here, which covered only selected problems, shows that Monumenta Sarmatarum should be the subject of more extensive research work in the field of literary studies. In spite of the increasing interest in the last years in Tomasz Kajetan Węgierski’s creativity, research in his biography stand in the same place, even though it contains many blank spots or false pieces of information which are adopted and accepted. The article aims to revise some of them, to correct the falsely established his date and place of birth, to introduce into academic circulation new bibliographical facts including that of his origin. The text is based on a few archive search queries. One of the presented discoveries are two letters unknown to Węgierski’s scholars (dated 1778 and 1784) which have been analysed and included into the paper in the translation from French. It is suggested that the conclusions from the article allow to insight into the poet’s activity and into at least a part of his literary creativity in a slightly different context. The text is a remembrance about professor Algis Kalėda, an organizer and many years head of Polish studies at Vilnius University. He was not only an academic who could intrigue his audience, but also a university lecturer, arousing students’ interest in literature and the Polish language, an outstanding researcher in Polish-Lithuanian literature relationship, a Czesław Miłosz and Polish 20th c. writers expert, and a translator who rendered into Lithuanian many pieces of great Polish literary figures. This text is a remembrance about Marek Kwapiszewski, a many years research worker at the Institute of Polish Philology, Maria Curie-Skłodowska University in Lublin. Kwapiszewski was a respected Polish Romantic literature expert and the Romantic period research investigator. He specialised in the Romantic Ukrainism and examined the old Polish Republic Southern-East frontier literary life in the late Romantic period, describing, inter alia, the intellectual profiles of 1840s and 1850s forgotten literary critics. The remembrance is devoted to the late (June 2017) professor Jacek Brzozowski, an outstanding 19th and 20th c. literature historian and Juliusz Słowacki’s works editor. It reminds about his most crucial interpretive and editorial achievements, sketches his academic path, and presents his figure from the perspective of personal reminiscences.